I hope everyone had a safe and fun Independence Day! Many of you already know, but I work for the USO and we had a neat-o event in DC that I went to. I wore: a white skirt courtesy of Land's End Canvas, sandals from ideeli, a Juicy Couture bracelet from the last IFB conference, my trusty Marc Jacobs belt, and my most super awesome, limited edition USO 4th of July tee! 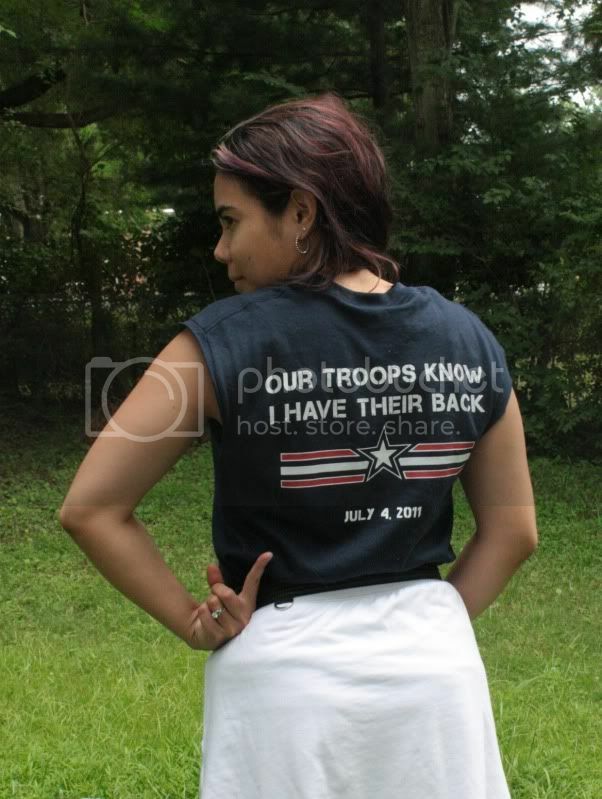 Because the troops know I have their back! I celebrated by going to the White House for military family events, a USO concert featuring Amos Lee and Train, and, of course, fireworks! 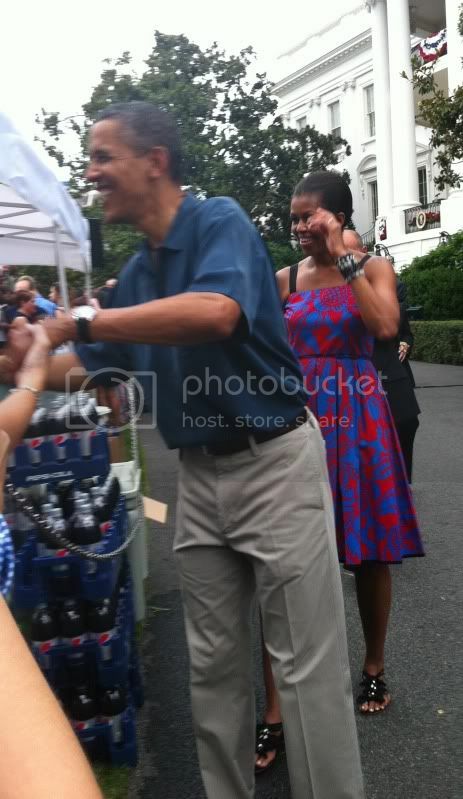 By pure chance I got to shake President Obama's hand and meet Michelle Obama! Doesn't she look great, I wanted to ask who did her dress but I got too shy :x But not her! 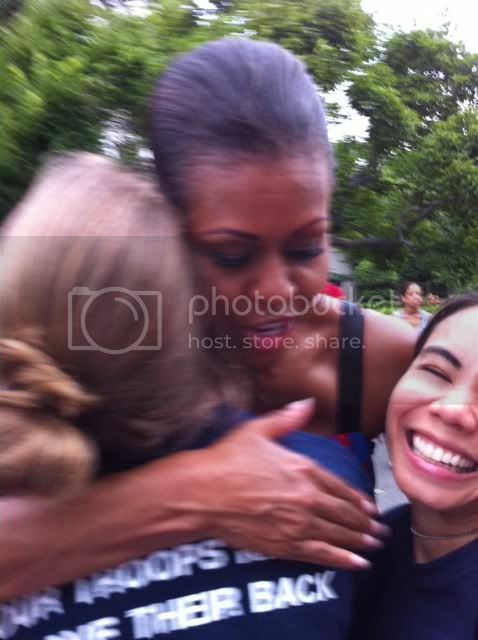 She loved our tees so much, she gave us a hug - what a perfect way to celebrate the 4th of July! What an awesome way to celebrate the holiday!